There are many different types of writing programs that offer writers of all abilities and genres a chance to learn more about the craft and business of writing, receive feedback from peers and publishing professionals, and spend focused time writing. Generally, conferences are well-suited for educational sessions, workshops for peer critiques and substantial writing time, and retreats for rejuvenating and gaining perspective on a work in progress. Many provide valuable opportunities to form meaningful relationships with other writers or to network with agents, editors, and other publishing professionals. Programs vary in size from conferences with thousands of attendees to writing workshops and retreats with a handful of other writers. Many regional, national, and international book festivals and fairs host educational sessions for writers interested in the publishing industry. Conferences and retreats typically offer very different environments and focal points, yet many programs have recognized the benefit of combining educational experiences with concentrated writing time. Some conferences now offer pre- or post-conference small-group workshopping sessions. And some workshops and retreats have added an optional additional day of instruction or one-on-one mentoring. Where are you in your writing journey? Are you just getting started, or do you have a manuscript ready to be published? Will you benefit from being with writers of different levels and genres, or do you want to deep dive into your primary genre? Be honest with yourself about where you are in your journey and how that fits into the writing programs you are considering. What do you want to get out of this experience? Are you hoping for detailed feedback on a work-in-progress? General writing tips? Inspiration from published authors? Access to agents and editors? Focused time away to write? Read the program description and agenda. Review the background of the speakers or workshop leaders. Does the program’s schedule and style match the type of experience you’ll benefit from most right now? Is location important to you? For some writers, a coffee shop does the trick. Or, perhaps the inspiration you need is a week of writing in a villa, on a boat on the river, or while you explore another land! Some programs, like the Iceland Writers Retreat (April 2019) offer excursions as part of the experience. 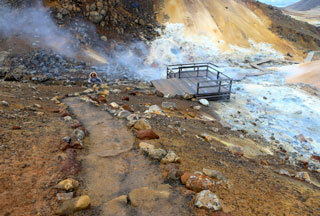 IWR’s “Geology, Ecology, and Literary Inspiration” excursion begins near geological wonders in the Reykjanes peninsula, including the spectacular Lake Kleifarvatn (made famous in Arnaldur Indriðason’s novel The Draining Lake) and the Krýsuvík geothermal area. Writers also have a reading at the Strandakirkja Church, a visit to the Sólheimar Eco Village, and a stop at the Laugarvatn Fontana Spa to sample rye bread baked in the hot geothermal ground. Photo courtesy IWR. Conferences, workshops, and retreats vary in price, ranging from free sessions at a book festival to $4000 or more for an all-inclusive getaway. Read the details about what the cost includes. Travel expenses are usually in addition to the listed tuition, room, and board. Additional optional expenses may include fees for a manuscript review or to meet with an agent or editor. Read the fine print for details about deposits, cancelations, and refunds. For larger-cost programs, consider travel insurance, starting with your first deposit. Many programs offer scholarships, which usually require applying several months in advance of the regular application deadline. How much time do you want to devote to this experience? Will you be able to tune out other work and life demands to fully engage in this program? Does a two-hour writing course in your community offer what you need? Or are you ready for a week dedicated to writing? If you’re looking for a longer-term commitment, some programs offer a post-program residency for two weeks up to three months. What will you need to write in order to apply or participate in the experience? Some programs require an application, with acceptance after a juried review of submitted work within a specified genre. Others are open to writers of all abilities and genres. At some programs, you will need to bring a work-in-progress; others expect you will write on site. Some conferences offer a structured time to pitch your manuscript to attending agents and acquisition editors. Writers are usually asked to send a portion of their project ahead of the conference. If your work is polished and ready for that step, research the agents and editors ahead of time to make sure they are a good fit for you. All experience levels. Classes and coaching on writing and publishing. Retreat attendees should have in mind one piece of work they want to focus on. A modular program of writing master classes an hour outside Mexico City in the foothills of the great volcanoes. The core writing program is open to poets, short story writers, novelists, journalists, librettists, memoirists and essayists, as well as those working on projects that challenge traditional genre forms. Optional add-ons include a two-week extension residency and flash master classes. Registration for the core master classes is limited to eight, with acceptance based on an 8-10 page writing sample. Both accomplished and emerging writers are encouraged to apply. A women’s writing retreat with daily workshops, interactive writing activities, and connecting with international women writers. Workshops on a dude ranch with views of the Rincon Mountains. Weeklong retreat for writers of all levels, with writing prompts and discussions about character development, dialogue, story structure, beginnings and endings, and the process of editing your own writing. Held at Finca Luna Nueva, an eco-lodge in the heart of the rainforest near La Fortuna. Five-days of keynotes, seminars, networking, community building, and cultural celebration. 10,000+ attendees. Held at the historic Hotel Real de Minas. All-inclusive retreat with writing activities and cultural experiences. Held at Tranquil Nest, close to Mangalankombu village in Dindugul district, Tamil Nadu. The nearest city is Madurai. Educational sessions about the world of publishing, building a writing career, and polishing craft. Limited to 500 attendees. Morning yoga, structured writing sessions, and guided feedback. Write with the flamingos and the sea turtles in a private villa on sandy, sunny Isla Holbox, on the north coast of the Yucatan peninsula, in the vast Yum Balam biosphere reserve. Focuses on travel writing, with hands-on workshops led by experienced mentors. Experience Emerald Isle and Donegal, while sharpening your writing skills and learning about the travel industry. The largest literary conference in North America, with more than 12,000 attendees. Four days of presentations, panels, and craft lectures, and a book fair. Limited to ten intermediate/advanced writers. Workshops with experienced mentors. Explore the Himalayas, with visits to Delhi and the Taj Mahal. Five two-hour small-group workshops (max. 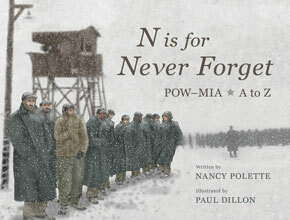 15 participants) led by featured authors. Participants on the complete and standard packages choose between three exclusive full-day outings into the Icelandic countryside, led by an Icelandic writer. All participants enjoy a literary walking tour of Reykjavík. The Writers’ Institute offers direct access to accomplished literary agents who are looking for both fiction and nonfiction materials. Sign up for individual eight-minute pitch sessions. Fiction writers must have a completed novel manuscript. Nonfiction writers must have a full book proposal, including overview, chapter outline, author platform statement, market analysis. Memoir writers should have both a completed manuscript and complete proposal. Agent pitch sessions have limited slots, so if you are interested, sign up early to get your pick of agents. Uses mindfulness, sound bowl meditations, Yin Yoga, and writing as intentional practices that cultivate stillness and provide emotional, mental and physical release. The retreat is held at An Villa Boutique Resort amid palm trees and tropical gardens in a peaceful authentic Vietnamese neighborhood between Cua Dai beach and the World Heritage listed Old Town of Hoi An. An immersive eight-night retreat with workshops designed to hone your storytelling skills. Write and photograph enough during the retreat to craft a compelling story. Ride, write, reflect, and renew in a rustic setting of mountains, meadows and rivers. Author Page Lambert and equestrian Sheri Griffith lead a five-day equine adventure ideal for those who yearn to be immersed in nature and connect with horses, while feeding their creative inspiration. Week-long writing retreat led by author and writing professor Jess Lourey and healer and writing coach Allison Quaid. Held in a villa near the Morienval Abbey, in the Oise region, an hour north of Paris. Each day is spent in gentle silence from wake-up until 4:30 p.m., with meditation, slow walking, and timed writings. Book discussions and space for deep listening in small and large groups. All levels and genres. Write in the mornings and adventure the Greek island of Alonnisos in the afternoons. Post-writing activities include kayaking, hiking, yoga sessions and exploring the culture of Greece. Workshops follow the Amherst Writers and Artists Method. Weeklong seminars with daily workshops in poetry, fiction, and creative nonfiction, as well as one-on-one manuscript consultations, panel discussions, readings. Literary workshops in fiction, nonfiction, poetry, spiritual writing, translation, and workshops for teachers. Presentations, panels, and workshops focused on historical fiction writing. Poets and prose writers gather for separate weeks of workshops. Workshops, individual conferences, lectures, panels, readings, and discussions of the craft and business of writing, with a focus on assisting writers in the refinement of their craft, in an atmosphere of camaraderie and mutual support, to move closer to achieving their goals. Juried application. Lectures and intensive core workshops in poetry, fiction, memoir, and nonfiction. 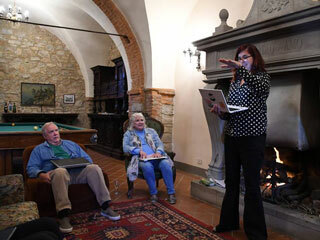 Writeaways in Italy includes workshops and readings with a small group of writers in a villa in Tuscany. All-inclusive workshops with John Yewell and Mimi Herman in inspiring locations. 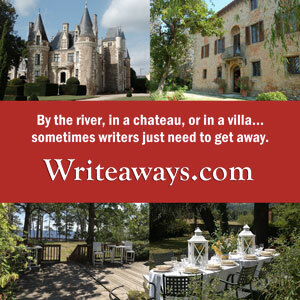 Read what it’s like to attend a Writeaway, about John and Mimi, and other Writeaway coverage in Books Make a Difference. Weeklong intensive of morning workshops (max. 12 students, two manuscripts per session), with afternoon seminars, career panels, one-on-one meetings with faculty and house editors, and evening readings led by prominent contemporary writers of fiction, nonfiction, and poetry. Application required (deadline April 15, 2019), with unpublished writing sample. Acceptance is based on the strength and promise of the writing sample, as well as how much the board feels an applicant might benefit from the workshop. Spend two nights in Prague, followed by a retreat in the countryside. Daily writing, and indulging in spa services. Where career-focused romance writers make lasting connections to grow their careers. Education sessions, networking, interactions with romance publishing industry professionals. A week-long retreat in the Danish countryside, under the guidance of experienced professional writers, immersed in Scandinavian elegance. A creative adventure in the Moroccan for writers and artists. Explore ancient cities, sleep in Berber tents on a camel trek into the Saharan dunes. Daily creativity workshops and readings. Selected your experience? 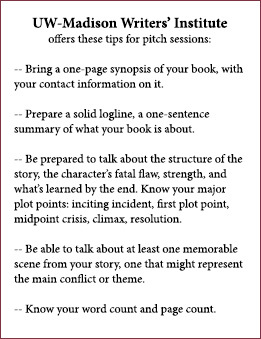 Read tips for preparing for a writing workshop. Be sure to come back and post photos and comments here about your experience! This article was first published December 1, 2018. Writing program information was accurate at the time this list was published. Please contact the organizers for updated information. Team members from Books Make a Difference have attended a variety of conferences, workshops, and retreats.